Music Vision International, (MVI) is a software development company that creates and markets interactive multi-media music education programs and curriculum to promote music literacy globally. MVI’s predecessor company was Do Re Mi Fa Soft, founded in 2002 by a Russian-trained musicologist and music educator, Hellene Hiner, who has more than 30 years of teaching experience. At the heart of this company is the groundbreaking patented and copyrighted invention of the Grand Staff visual simplification. Music Savenotation has not changed for 10 centuries and only MVI has a proven way of spelling it out for beginners from 2-years old and up globally. Create a culture where music literacy enhances academic achievement for K-12 students who are part of the “Soft Mozart” program. The ‘Soft Way to Mozart’ curriculum is the cornerstone of the company’s entire product line. This curriculum covers all levels of music educational development from elementary to secondary schools. The curriculum consists of software interactive learning games, visual and interactive sheet music, books, lessons plans, flash cards, songs and other educational materials. Ms. Hiner is the Founder and Chairman of MVI. 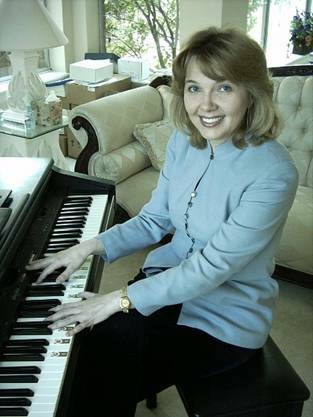 She developed the ‘Soft Way to Mozart’ curriculum for piano learning and music reading from over 30 years of research and music teaching. Hellene is also the face of the program and has appeared on numerous TV shows and news programs. She is an established and well-known entity with some of the most prestigious music institutions in the world including the Moscow Conservatory and the Madrid Conservatory. Hellene was born in Leningrad (St. Petersburg), Russia, and soon afterwards, her family moved to Ukraine. She entered a Music School to learn piano at age 7 and graduated with honors prior to entering the Zhitomir (Ukraine) Music College to study music theory, music history, and piano. Her favorite subjects were the pedagogy, psychology, and methodology of music. She graduated the Zhitomir Music College with honors and a Bachelor's degree in music theory, music education, music history and piano. Ms. Hiner continued her musicology education by attending the Kharkov (Ukraine) Music Conservatory (University of Arts) to receive her Master Degree in music, completing her 16-year-long Russian classical music education. She wrote a thesis, "How to teach children to understand and appreciate advanced forms of music." The thesis was appraised with top marks, and the committee of the conservatory recommended that it be published. Professionally, Hellene has worked as a music educator teaching in both public and private music schools and universities. In the mid-1980's, she invented a unique system of ear training and writing musical dictations. She also developed a system of teaching young students music improvisations and creating music. In 1991, her students composed an opera, "Kolobok," and one of her pupils received a medal in the regional contest of young composers. Upon moving to the United States in the mid-1990, Ms. Hiner founded "Little Mozart" - a Developmental Music Program. 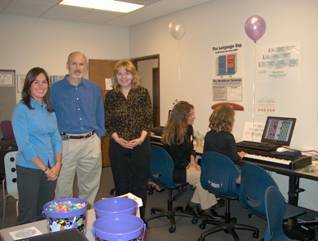 She taught piano using this music program in several private schools to children of ages 2.5 - 13 in groups and individually. She also developed a way of teaching 2-5 year old children to play piano exercises in order to improve their eye-hand and two-hand coordination, and invented some music games to identify fast and slow music, major and minor, intervals and chords. These inventions subsequently formed the intellectual property for the current Soft Way to Mozart learning curriculum, which received a US Patent in 2009. Over the past eight years, more than 3,500 users across 48 countries have licensed the software program to learn how to play piano music. 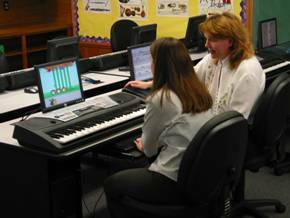 Ms. Hiner continues giving piano lessons at her private piano studio for children in the Houston, Texas though now her main occupation is in applying her new ideas and vast teaching experience into learning materials, books, and software, and providing workshops for teachers. She also providing teacher training globally to spread her invention globally. As the head Musicologist for Music Vision International, she keeps close contact with the schools and music studios that use the "Soft Way to Mozart" piano teaching method and learning software.